With the ill-effects of the twenty first century urban and suburban maladies, more and more people have become disgruntled with public speakers. To deliver a persuasive you need valid iron-clad arguments, rhetoric and the occasional tension removing aside. 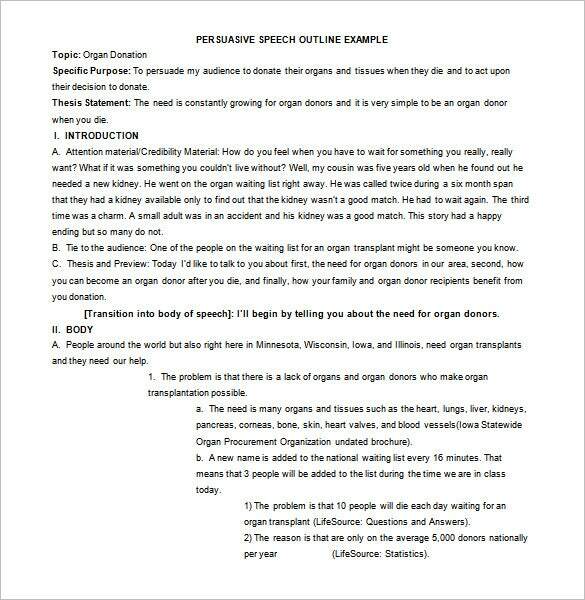 It would be extremely beneficial if you made a speech outline template for this purpose. You could even hone your leadership skills by using our brilliant leadership development templates. 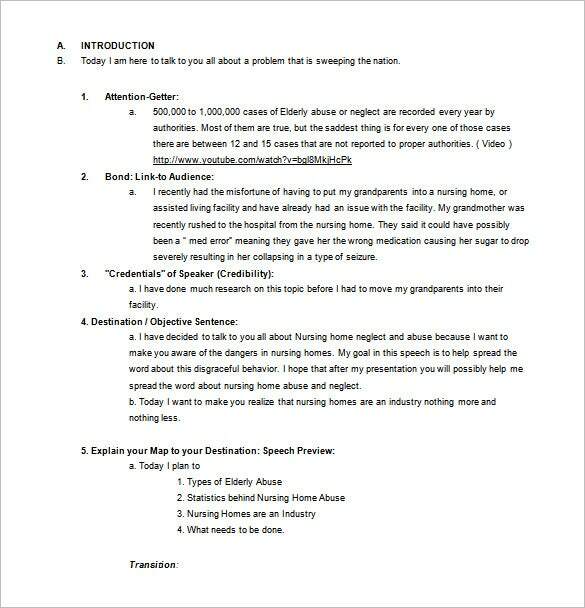 The speech outline templates are built to help you plan your next speech with ease. You do not have to create your own from scratch, because this template is available for free download and use. The best thing about speech is that anyone can make it. 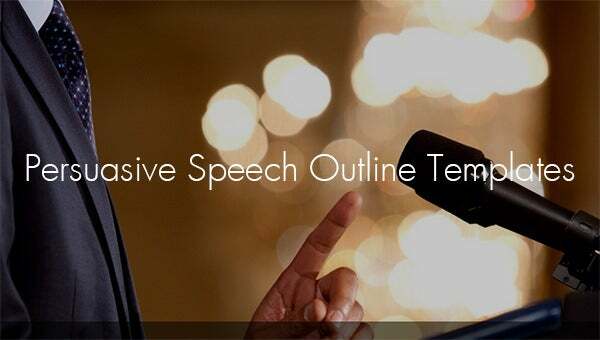 The only thing you need to do is to create the best outline for the speech to make it the best. This template can help you do that. Anyone can deliver a good speech. All it takes it to have the best outline and the right words will always come. 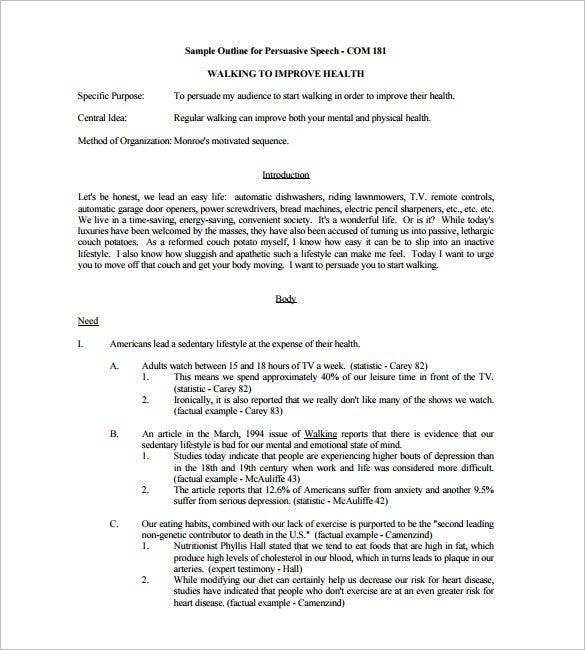 Use this template to create the best outline for your speech. 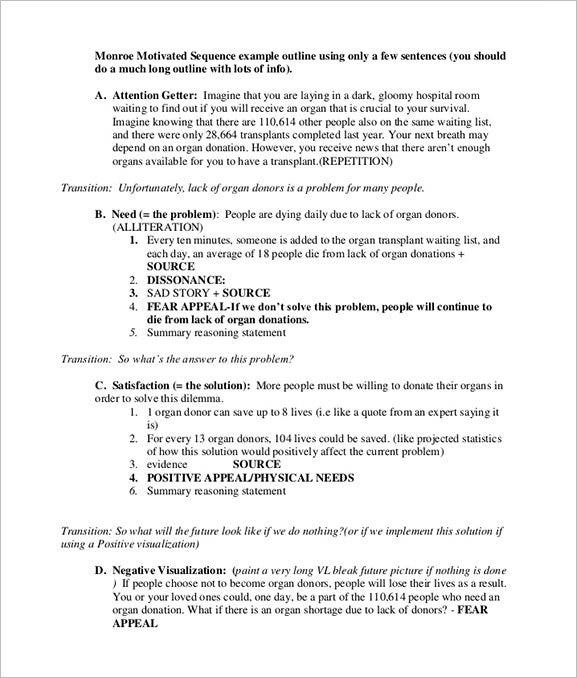 These templates help you to arrange the significant points of your debates. 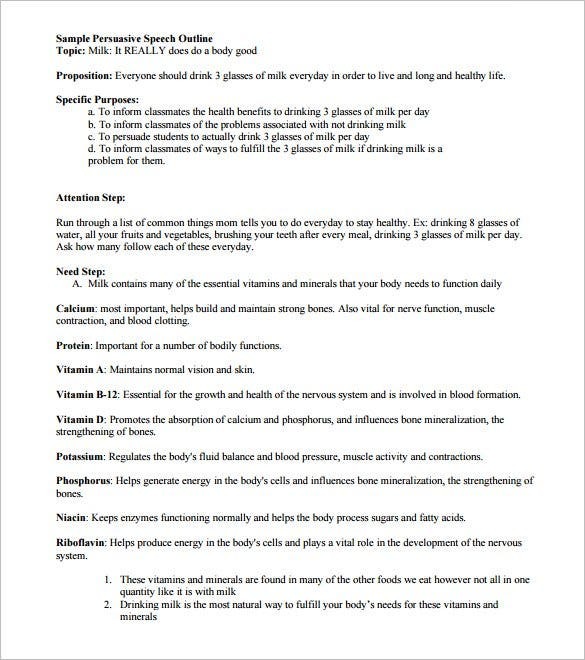 They help enormously with the chronology or the timings of what has to be said and when and also what are the facts and logistics that support it. 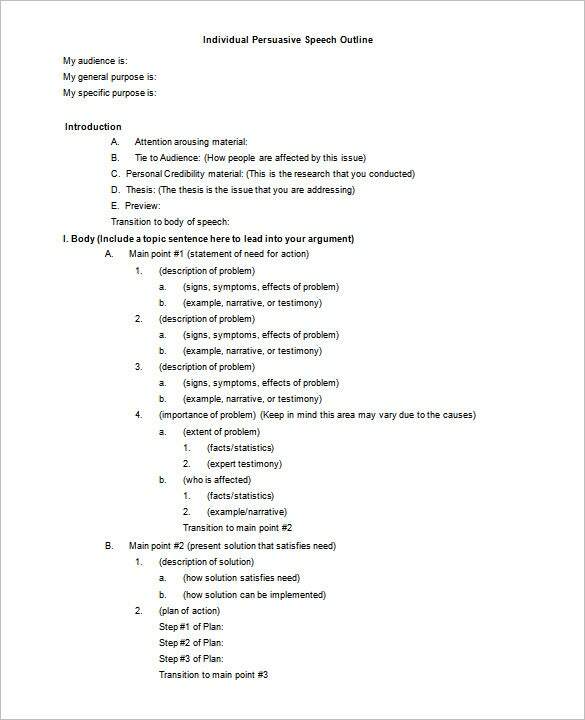 The presentation becomes lucid and you can easily analyze any key points or weaknesses in your argument.